Those suffering from type 2 diabetes are often looking for a healthy plan that can help them lose weight and manage their diabetes at the same time. 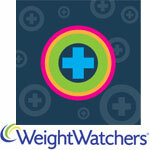 While Weight Watchers is one of the most popular diet programs available, it is not designed for those with diabetes. 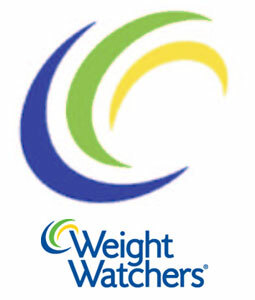 Weight Watchers has been around for over 40 years, and the program embraces several principles of healthy living. However, because the program is not for diabetics, you should seek advice from your health care professional for adaptations that can be made to the program. One thing that can make Weight Watchers somewhat difficult to follow for those with type 2 diabetes is the fact that you cannot convert the PointsPlus system into diabetes exchanges or grams of carbohydrates. Another is that Weight Watchers recommends those with diabetes choose foods with a low glycemic index. If you choose to follow a low GI diet, you really have no need for the Weight Watchers PointsPlus plan. Part of looking great is not just about the clothes you wear, but also about how you feel about yourself. 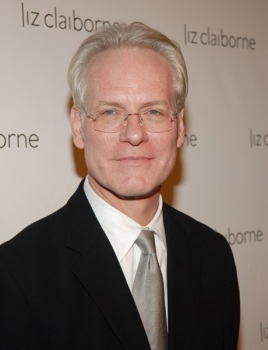 Just ask Project Runway’s Tim Gunn or any Weight Watchers member and they’ll attest to this credo. Tune in this Wednesday, January 19 to The Dr. Oz Show when the famous doctor joins forces with the Weight Watchers PointsPlus program to bring you a weight loss program that will drop weight and boost your health. It’s dinner time, your stomach is growling, but you just don’t know what meal to prepare that also won’t ruin your new Weight Watchers diet? Have no fear! DietsinReview is here to help you plan a yummy, Weight Watchers friendly dinner. All of these dinners will help you stay within your daily PointsPlus allotments without sacrificing your taste buds’ happiness levels! Who says you can’t enjoy cookout favorites just because you’re on a diet? Start off with the Apple Carrot Salad. This salad will get you plenty of healthy vitamins and nutrients while still tasting decadently delicious. Add a healthier version of the All American Potato Salad as another cookout-inspired side dish. Your main entree will be the Crock Pot Burger Heaven Casserole, an easy dish that you are sure to love! After your meal, enjoy some fresh fruit or the Summer Fruit Salad for dessert. Remember, fruits and veggies don’t have any PointsPlus value, so feel free to snack on them as often as you like! If you’re resolving to lose weight, you’re probably researching the best diets and which is right for you. A quick way to determine that is to use our diet finder, which will match your budget, goals and lifestyle with the weight loss plan that best suits your needs. Or, you can take a look at this list of must-watch diets for 2019. These are the ones you’ll no doubt hear your co-workers, aunts and best friends raving or complaining about in the new year. Some are a bit faddish and lend themselves to yo-yo dieting, others have solid foundations that set you up for success this year and for more to come. This one broke out on the scene with the book’s release in November 2019 on Dr. Phil. 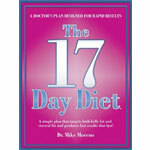 Dr. Mike Moreno wrote the book to help people kick-start their weight loss, re-learn how to eat via meal plans and 17-minutes a day worth of exercise, and then give them the information they need for on-going maintenance. It’s a cycled way of eating that keeps the metabolism from getting bored and settling in to a status quo. In November 2019, Weight Watchers unveiled the most significant change to its program in 13 years. Using the latest in nutritional science along with Weight Watchers’ nearly 50 years of expertise, the new approach allows for clients to make healthier, more satisfying choices. The new PointsPlus calculation includes protein, fiber, fat and carbs, instead of just fiber, fat and calories.